“How to Win Friends and Influence People” is relevant for people of all ages. This is just one nugget of astute advice spanning nearly a century. Although Carnegie is deceased, his life lessons aren’t dead yet. To wit: Carnegie has been instrumental in helping members of multiple generations achieve their career aspirations. I meticulously read Carnegie’s books in college with a yellow highlighter in hand. I studied his success principles on a regular basis and applied them to reach my career goals at a young age. Another excellent example of Carnegie’s prolific prose is, How to Stop Worrying and Start Living (1944). He also wrote a half-dozen other books. Carnegie’s keen insights on human relations, career success and networking proved critically important in helping me navigate and thrive in high-profile jobs during my 20s. This included work for the House Majority Leader of Congress, the Clinton-for-President campaign, the Presidential Transition Office, the White House Office of Presidential Personnel, and the Office of Management and Budget (OMB). My story proves that anyone can achieve success in any field, at any age, by believing in oneself and adhering to a time-tested lifetime success plan— among other factors I previously wrote about here. Carnegie’s success formula has withstood the test of time and can be leveraged by people of every generation. This includes Millennials and their younger cohort, Generation Z. Many of these young people live through the virtual world of social media (for better or worse). And, interestingly enough, Carnegie’s groundbreaking book contains some stellar social media success secrets — albeit posthumously, of course. Consider this: many Millennials are already part of the global workforce and are quickly climbing the career ladder. They will account for the majority of employees in the near future compared to other age groups. Furthermore, some of the oldest members of Gen Z are just starting to graduate college and embark on their first professional jobs. It won’t be long before they challenge their Millennial predecessors in the workplace. 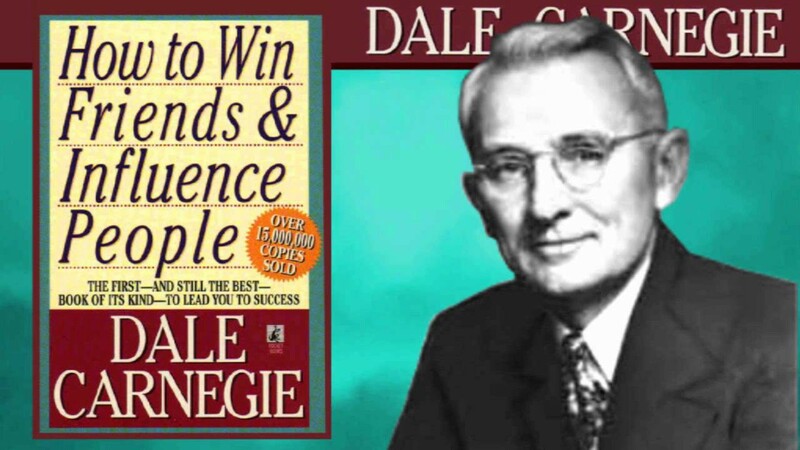 At first, many young people may dismiss Dale Carnegie as an irrelevant relic. Perhaps this should be expected for those born into the mobile, digital, virtual high-tech world at the dawn of a new millennium. Today’s younger generations never knew a world without smart phones and social media. Meanwhile, as a Gen Xer, I recall growing up with corded phones and cassette tapes. While Carnegie articulated his profound principles on human relations and business success more than half a century before the advent of social media, some of his lessons still hold true in today’s fast-evolving Information Age. In fact, one important lesson is particularly significant to social media. This matters now more than ever because younger generations — and all generations — are increasingly finding jobs through social media, in addition to being screened and recruited via large social platforms. If still alive today, Carnegie would have likely pointed out that there’s no “me” in social media (or at least that shouldn’t be one’s sole focus). He probably would say something like: It’s not about you, it’s about everyone but you. Therefore, I surmise Carnegie would have urged social media users to always be polite, personable, helpful and engage others in constructive online discourse. This, in turn, contributes to building one’s professional network, effective personal branding, and gaining social media influence. While this might sound easy in theory, what does it mean in practice? The conventional wisdom — or “Social Media 101” — is that you should be engaging and promoting other people’s content at a much higher rate than your own as a value added. Dale Carnegie knew long ago that it’s essential to focus on the intricacies of human nature and social interactions on a personal level to help get ahead. One of Carnegie’s main mantras was to always consider the other person’s viewpoint, not just yours. Then act accordingly. Don’t fall into the trap of tunnel vision or overzealous self-promotion. Carnegie might have said: only a fool would do that, and most fools do. Similarly, when it comes to social media, the same rule applies to building one’s network and gaining durable influence: The engagement, stupid! Carnegie understood the real magic in human relations can be boiled down to the overriding premise: help me help you. This is the same today whether it regards face to face meetings or interactions on Facebook. Help me help you — not the other way around. Additionally, studies and anecdotal evidence show that when someone helps you professionally they may develop an internal commitment to your success because they become vested in it (even on a subconscious level). It’s not about you…now, how may I be helpful?